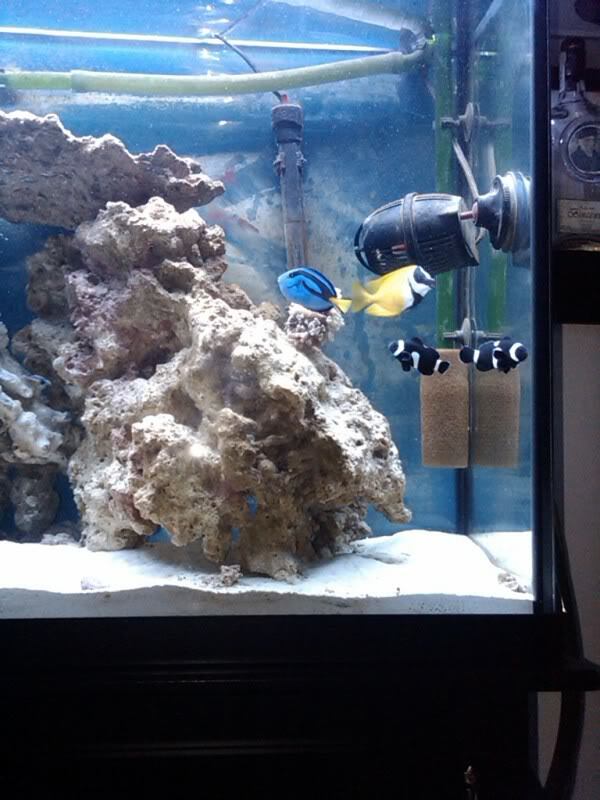 Your tank is looking great, keep the pics coming! 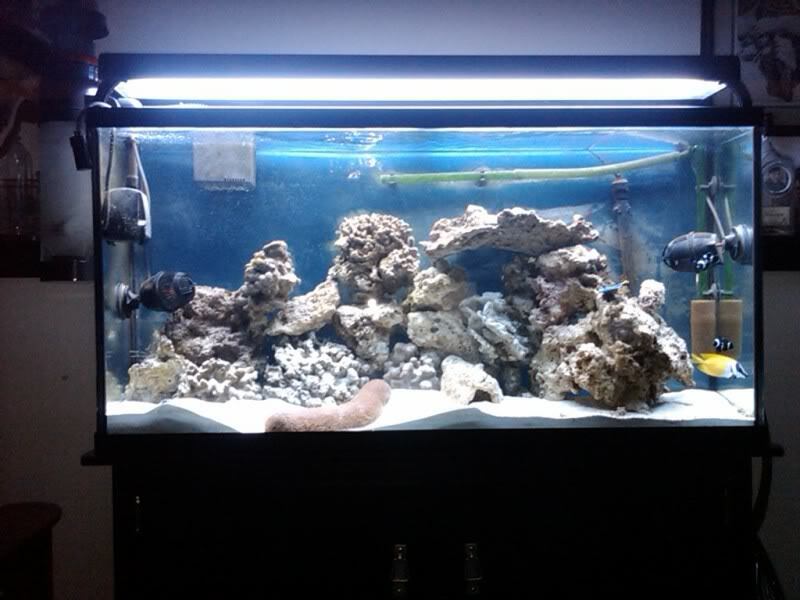 What is the green looking tube at the rear/right side/ top of the tank for? Gotta like them Blackberry's. My camera phone is useless, it doesn't let me download the pics. I can only attach them to text messages. lol well can u attach them to an email and send them to ur email account? thats what i had to do. One of our local suppliers had three frogfish in stock last week when I was there and they are one interesting looking fish. Looking forward to a pic when you get it. 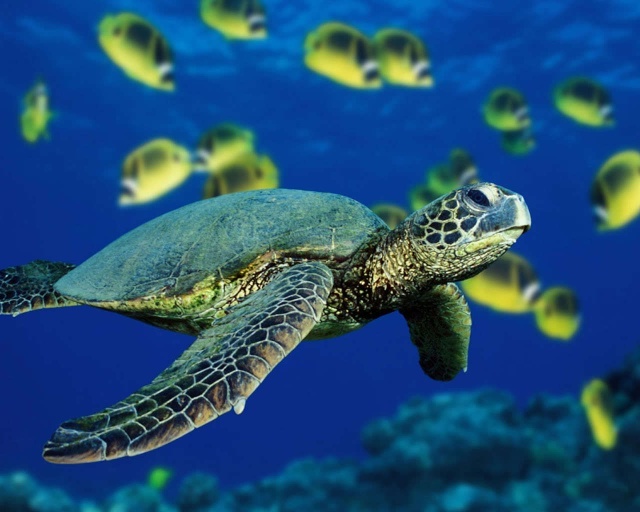 You may want to slow down with adding things so quickly to your tank. If I remember correctly you only set this system up last month and you allready have quite the bioload going on. 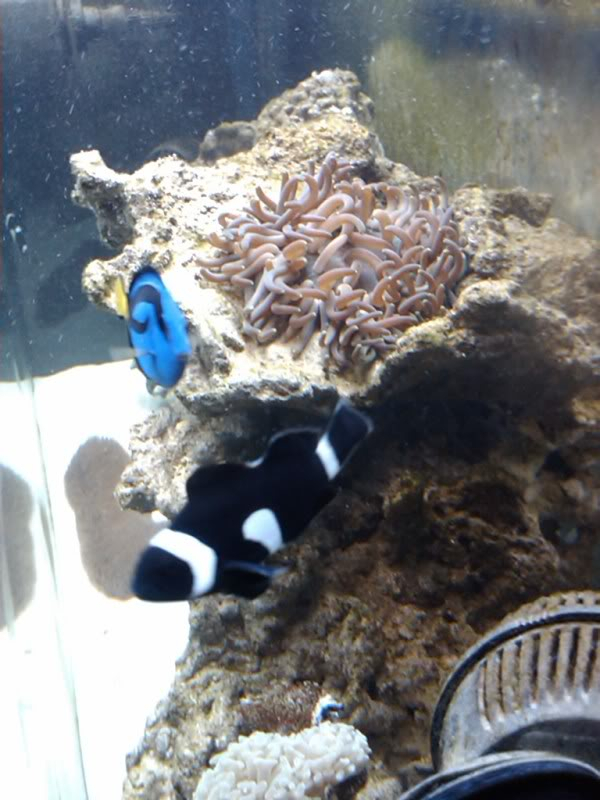 A friend of mine that recently set up a tank did something similar to what you've done with stocking, only to wake up yesterday to a crashing tank. The water was cloudy, all the fish and inverts were dead and only a few snails survived. 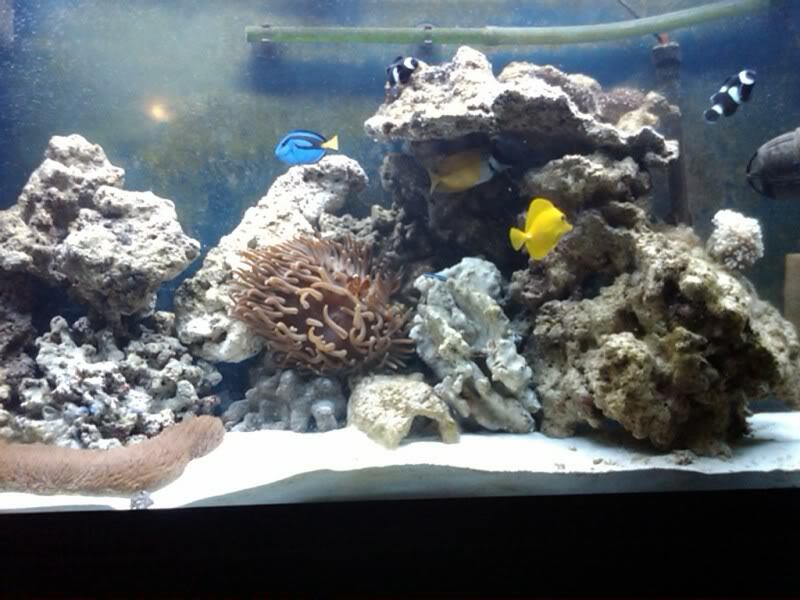 With the help of some other local reefers, all of the corals were taken to be babysat while the tank tries to recover. I'd hate for the same thing to happen to you. You're not giving the tank enough time to properly equalize between additions. When something goes wrong, Its usually going to happen really fast with out warning. 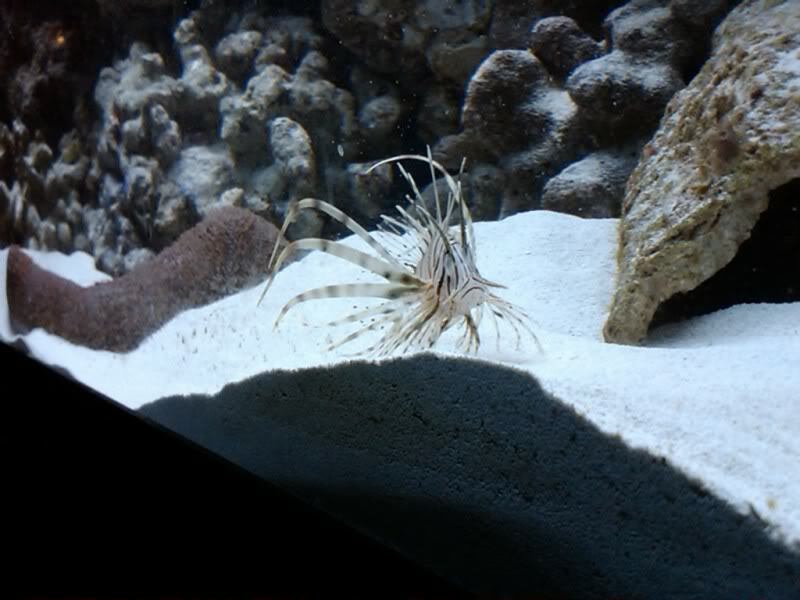 Nice pics, I really like the lionfish. 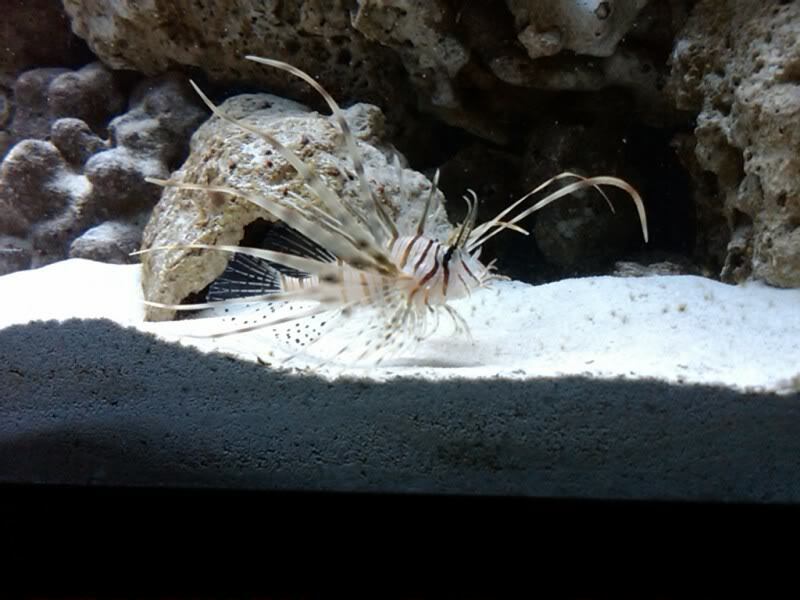 My dwarf lionfish is one of my favorite fish that I have. 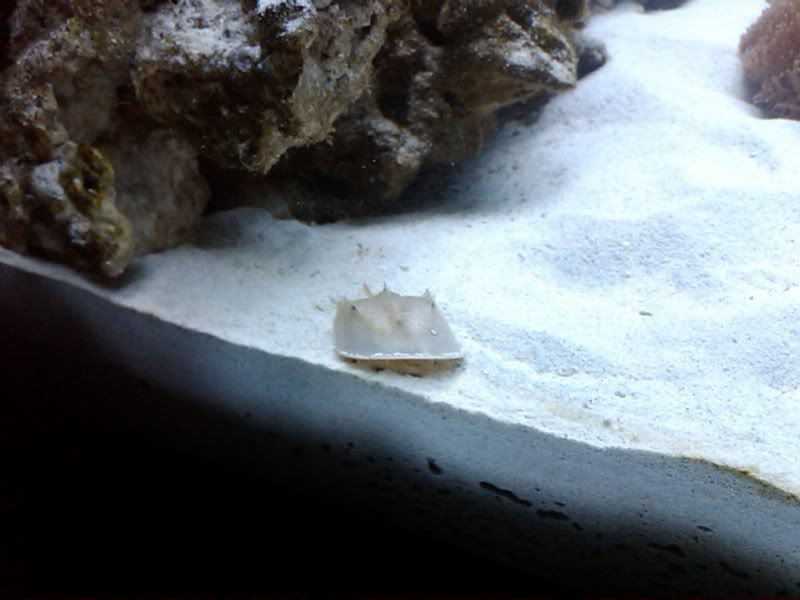 holy man so i dont have a bamboo shark... it was a banded coral shark... and hes um... getting large fast! 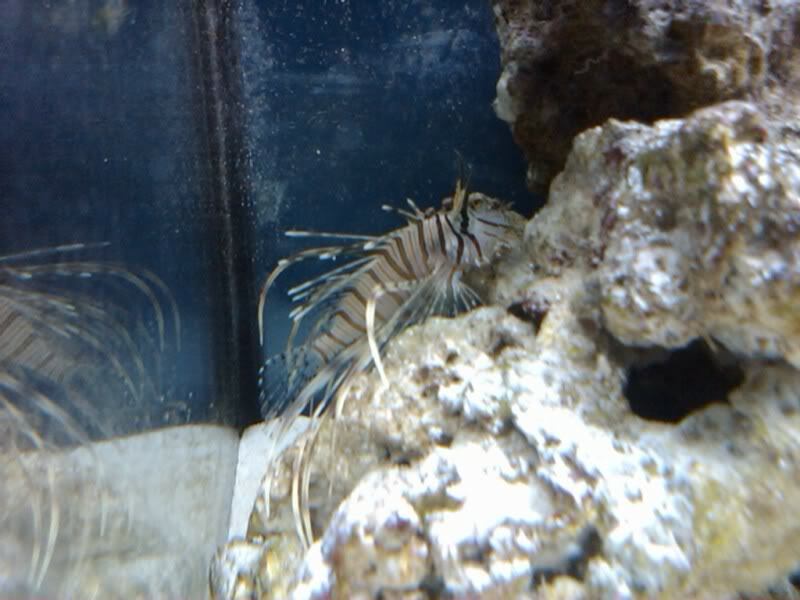 hes now pushing 8 inches and eating 6 silversides a week..
well everyone the tank is doing GREAT! i moved my tank to my new home where it looks great as soon as you walk in the door. 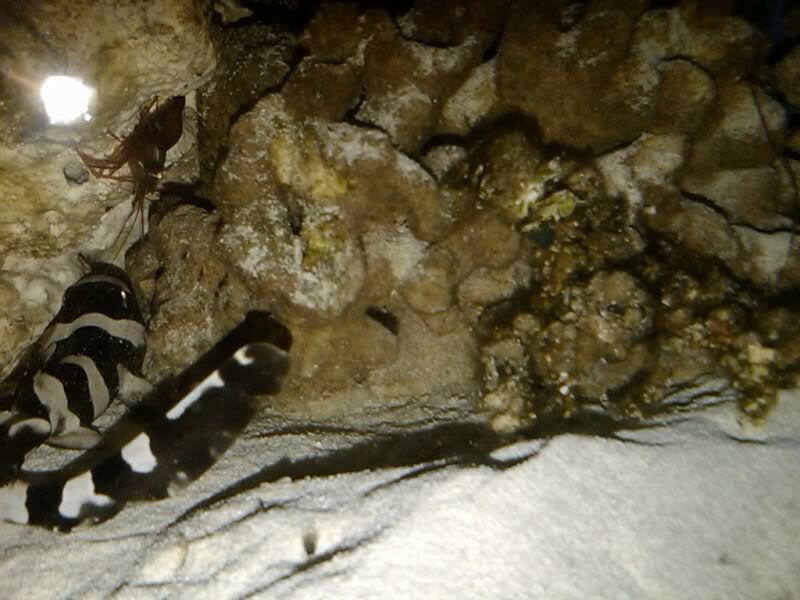 unfortunately during the move i lost an arrow crab and my long tentacle anemone. 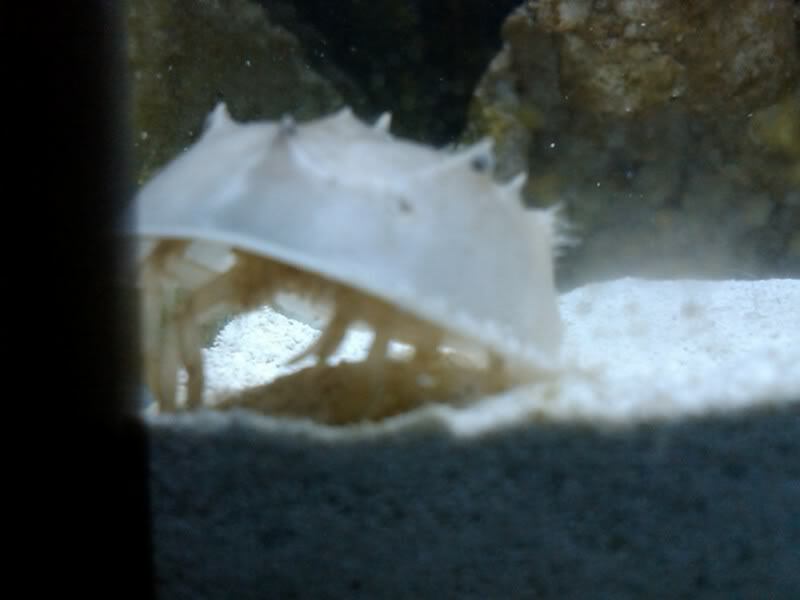 they both died at the store where being kept until my tank was back up and running. but on the other hand. the shark started to get quite big and a little more aggressive so i sold him for 100$!!! 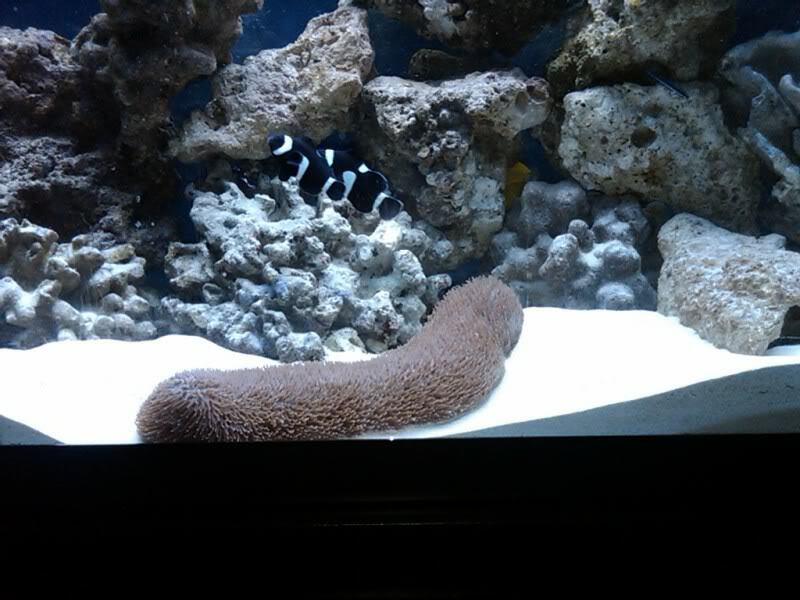 the new attributes to the tank now are a long nose butterfly, a ribbon eel (3ft) and an ABSOLUTELY beatuiful pink rose bubble tip anemone! i have some pictures but cant upload them yet because i lost my cable haha. 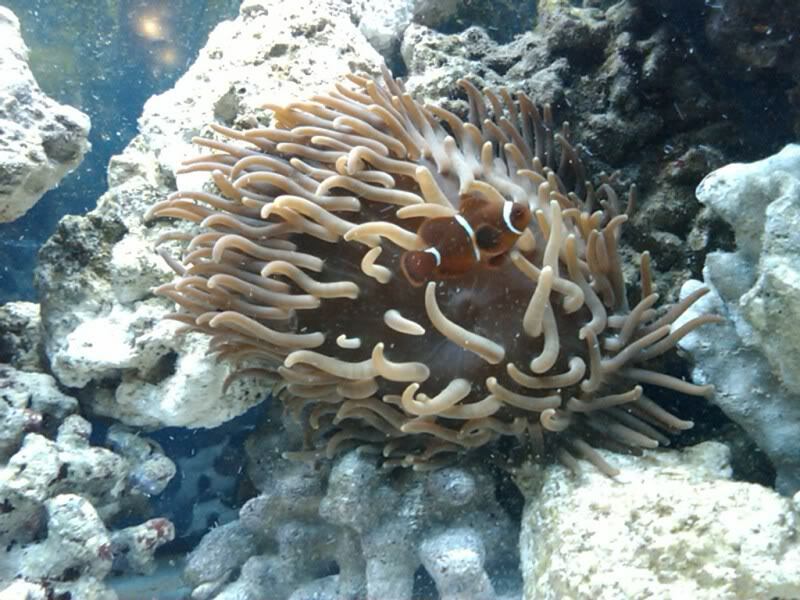 but its definatly an anemone you have NEVER seen before. being its fluorescent pink with a white and vibrant yellow base and actualy glows under an actinic light! its very healthly and doing great! 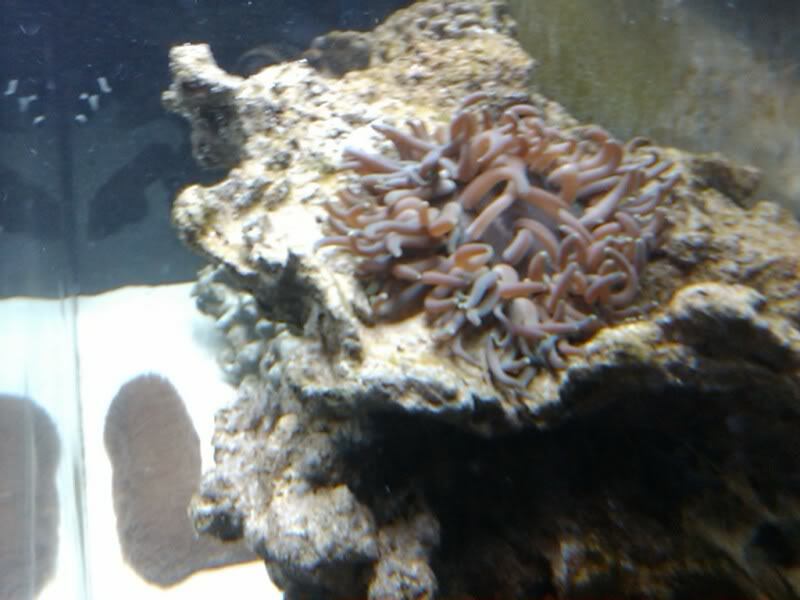 its a stationary anemone, being its sat on the rock its on for the last 4months. 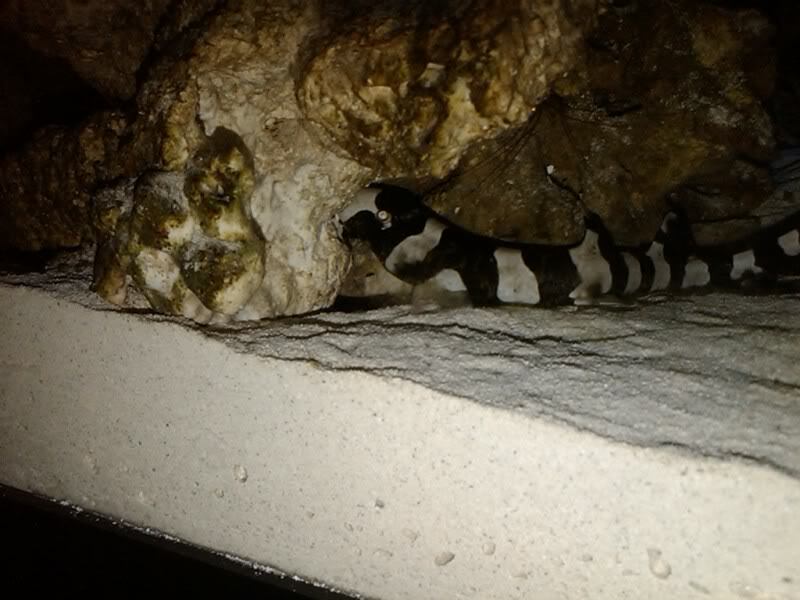 its wedged itself all the way through the rock. 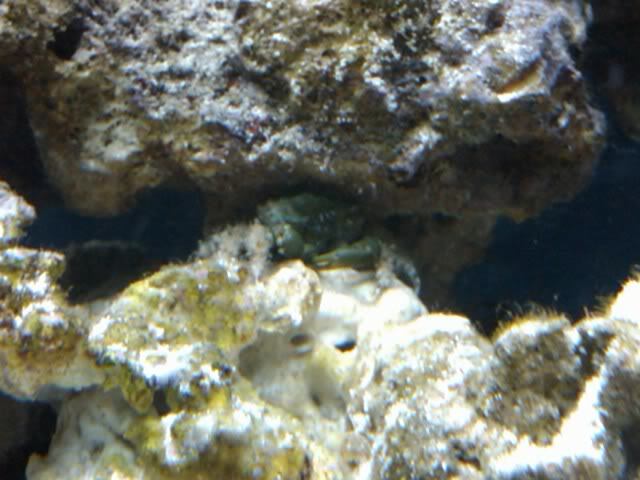 another addition to the tank was 2 corals. a suncoral with 30 headsish and a blue sea fan. both doing well. 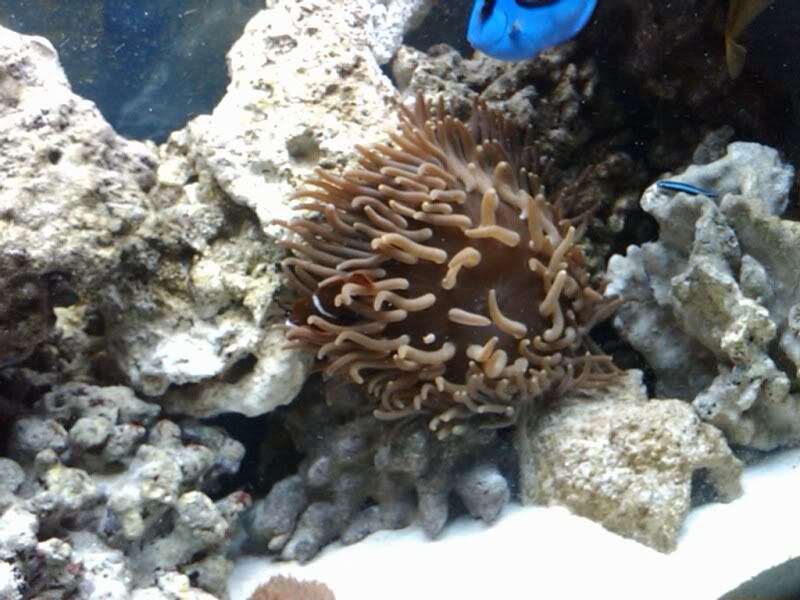 the sun coral likes to stay almost fully bloomed all the time which is quite nice.